With 'Breakfast in My Neighborhood' News10 viewers get a chance to decide where News10 Mornings Anchor Keba Arnold will be broadcasting live from 5-7 a.m. this Friday, November 21. Voting began on-air Friday morning November 14 and ended Tuesday November 18 at 6 p.m. 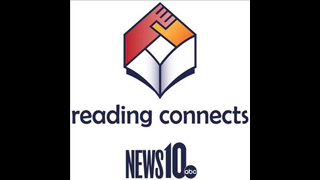 The winner was announced Wednesday November 19 on News10 Mornings. Viewers chimed in and OVER 27,000 votes were cast. With 'Breakfast in My Neighborhood' News10 viewers get a chance to decide where News10 Mornings Anchor Keba Arnold will be broadcasting live from 5-7 a.m. on Friday, November 21. The voting starts Friday, November 14, and ends Tuesday, November 18 at 6 p.m. The winner will be announced Wednesday, November 19, on News10 Mornings. Where should News10's Keba Arnold have breakfast in Turlock? With 'Breakfast in My Neighborhood' News10 viewers get a chance to decide where News10 Mornings Anchor/Reporter Jeff Maher will be broadcasting live from 5-7 a.m. this Friday, November 14. Voting began on-air Friday morning November 7 and ended Tuesday November 11 at 6 p.m. The winner was announced Wednesday November 12 on News10 Mornings. With 'Breakfast in My Neighborhood' News10 viewers get a chance to decide where our News10 Mornings anchor will be broadcasting live from 5-7 a.m. on Friday, November 14. The voting starts Friday, November 7, and ends Tuesday, November 11 at 6 p.m.